Aviation Finance Specialists since 1977Competitive Rates. Low Doc Options. Quality Service. Is your business in need of a new aircraft? Is it time to replace your engines or electronic systems / avionics? Or perhaps you need new ground equipment…fuel trucks, hangars and aircraft tugs? Take off with QPF’s tailored aviation finance and helicopter finance solutions! We’ve been assisting Australian businesses with aviation finance for more than 40 years, so rest assured that our experience allows us to source the best aviation finance packages for all types of aircraft. From commercial to private aircraft, we can assist with helicopter finance, plane finance, jet finance, light aircraft finance and more! Whether you ‘re purchasing a new or used asset, QPF has the expertise to ensure you get the aircraft loan that suits your specific requirements! We have access to Australia’s most trusted and best aviation financiers. And we’re not limited to asset finance, if you require a workshop fit out for servicing, or property finance to house your new aircraft – our aviation finance specialists have you covered. There are a number of different ways to secure aviation finance. At QPF we can help untangle the web of different products, terms and structures to provide you with clear options. We have access to, and experience with, all of the different aircraft funding methods available. Why Choose QPF for Aviation Finance? We handle the entire process to secure your aviation loan (and insurance!). With over 40 years as a brokering leader, QPF Finance Group boasts industry expertise and a wealth of knowledge in all facets of lending. In the past most people went to their existing banks for aviation finance, but the market is much more competitive now. As one of Australia’s largest finance broker groups, we compare banks & lenders and provide leverage to ensure you receive the best possible outcome. Family owned and operated since 1977, QPF is good people providing quality service with industry expertise. You will have a dedicated Finance Broker to contact for the life of your aircraft loan or aviation finance. Meet our Brokers here! We pride ourselves on tailoring an aviation finance solution that suits your particular needs. Our aviation finance specialists have access to Australia’s most trusted financiers to secure you the best aircraft loans in the marketplace. Can I get an aircraft loan for private use? Yes! Please fill in the Aviation Finance Get Quote form below and we’ll call you to discuss your options. I need to fix or upgrade my aircraft, do you finance aviation equipment? Yes! We can assist with finance to replace your engines, avionics and more. Just ask us! How long does it take for aviation finance to be approved? I’m looking at a used asset. Can you help me with aviation finance? QPF Broker and Managing Partner Matt Crain financed this awesome Bell 206BIII ‘Jetranger’ Helicopter VH-ITM for Grant and Katie Schultz of the Schultz Group with the assistance of DavAir! We've already financed trucks, trailers, yellow goods, cars and property for them... so why not add a helicopter to the mix as well! Thanks heaps guys! We hope to see you again very soon. 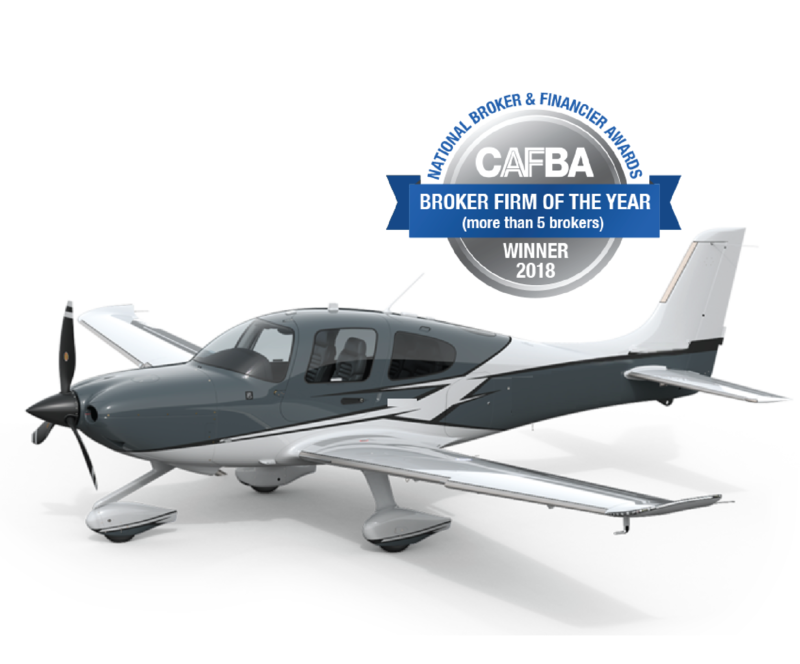 Get your Broker on the job to find you the best aircraft loan! Why choose QPF for your aircraft loans and aviation finance?